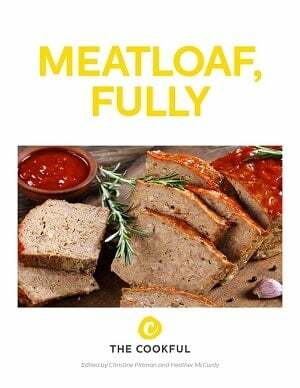 11 Easy Meatloaf RecipesAir Fryer MeatloafThe Easiest Meatloaf Ever!Meatloaf! Our Newest Series is Out! You won’t believe how easy and fast meatloaf is to make when you make it in the Instant Pot. Plus, we’re showing you the secret to giving it the perfect crust. It’s true. Just about anything can be made in the Instant Pot, and if you don’t have one yet, we recommend grabbing one to make your life easier. 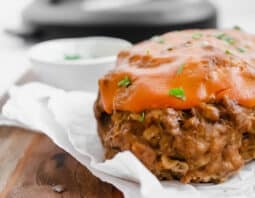 Meatloaf is actually pretty easy in the Instant Pot, but of course we have a few tips, so be sure to read them before you jump to the recipe. It will be worth it. Make it smaller. 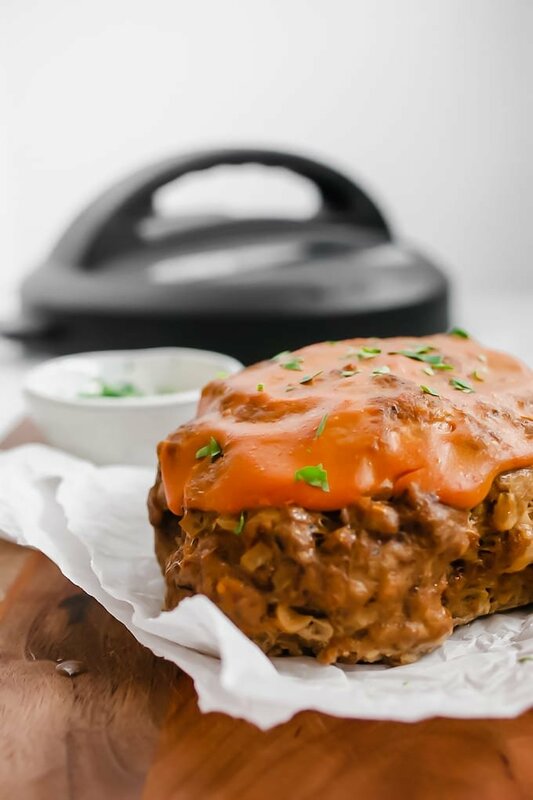 Most of our meatloaf recipes are made with two pounds of ground beef, but that’s way too much meatloaf for the Instant Pot. There simply isn’t room. And the more to cook, the longer it’s going to take to get to pressure, so any time savings would be lost. You need a foil “pan.” We’re going to create a small pan out of foil with the edges folded up to form a rim. This rim is really important because you’ll have a lot of juices that end up in the foil after it cooks and when you lift out the trivet (with the foil and meatloaf on top), you don’t want that juice going everywhere. Add water to the bottom. If you’re an avid Instant Pot user, you may know this tip, but if you’re a newbie you might be wondering why we add water to the insert of the pot. Because the Instant Pot is a pressure cooker, it requires water (or liquid) to create steam to create the pressure which then cooks food quicker than say an oven. While many Instant Pot recipes are made with a liquid, if we don’t add water to this one, there’s no steam and no pressure. Don’t skip the broil. This 2-3 minute step is so worth it. 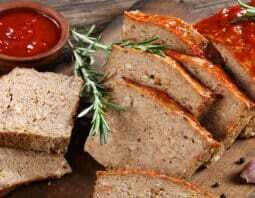 While the Instant Pot does a fantastic job of cooking a juicy meatloaf, there is no crust on it. So, when it’s done cooking in the pot, top with the ketchup and mustard glaze and throw it under the broiler (in that same foil pan you made) for a few minutes. To the bowl add ground beef, breadcrumbs, 1 tablespoon of the ketchup, Worcestershire sauce, Italian seasoning, garlic powder, salt, pepper, and egg. Use your hands to evenly mix the spices into the meat, being careful not to overmix. Pour 1 cup of water into the insert of the Instant Pot. Fold aluminum foil into a small “pan” with sides to catch cooking juices and place foil “pan” onto the Instant Pot trivet rack. Transfer meat to foil-lined trivet rack and shape into a 10×5 inch loaf. Carefully place the trivet rack with meatloaf into the Instant Pot, then secure the lid, making sure that the vent is closed. Select the “manual” or “pressure cook” function and program the Instant Pot for 25 minutes. Meanwhile, in a small bowl combine the remaining 1 tablespoon of ketchup and mustard. Preheat broiler to high and position rack on the second level below the broiler. When the Instant Pot time is up, carefully quick-release. Carefully lift out the trivet rack (make sure it’s not too hot!) and transfer meatloaf onto a rimmed baking sheet. (If there are a lot of juices, you may want to soak up some of them with a paper towel or turkey baster before transferring.) Spread ketchup mixture over meatloaf. Broil for 1-3 minutes. Let rest for 10-15 minutes before serving.